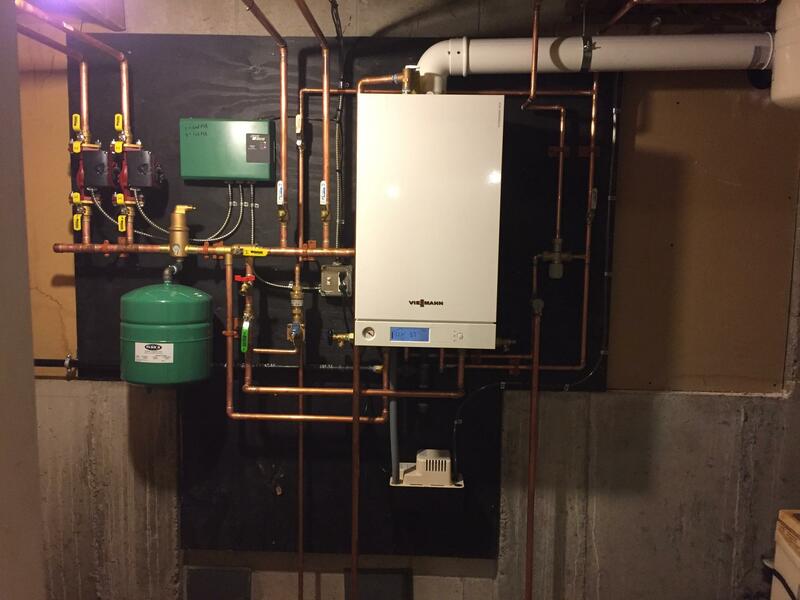 Paradigm Plumbing, Heating & Air Conditioning, Inc. provides a full range of expert boiler heating services in Manchester, NH, Concord, NH and surrounding areas, including new installation, replacement, maintenance, and repair of gas, electric, pellet, steam, and water systems. As a Bryant Factory Authorized Dealer, we offer all sizes to not only match any demand but ensure exceptional energy efficiency, reliability, and whole-home comfort. Taking the time to address your specific needs, we handle all projects in a quick, organized fashion, leaving no damage or mess behind. Paradigm Plumbing, Heating & Air Conditioning, Inc. services all brands, and our factory trained, experienced technicians, remain available 24/7 for emergency repair throughout Hooksett, Manchester, Concord, Suncook, Pembroke, and Bedford, NH. With annual inspection, cleaning, and adjustment, we help to avoid sudden malfunction, extend service life, optimize efficiency, and restore peak heating capacity. Contact us at (603) 641-6400 for professional maintenance, proper installation, replacement, or repair, and rest assured, we supply honest answers, quality products, and unmatched integrity of workmanship. 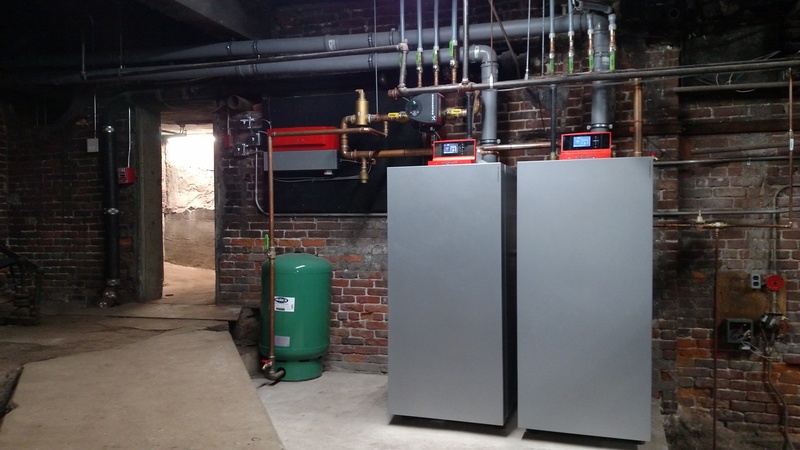 Paradigm is proud to offer the Viessmann line of boilers for the excellent quality, reliability, and efficiency. Our shop is fully stocked with replacement parts for these gas boilers. Our most popular gas boiler model is a Vitodens 100-35 which has a 95% AFUE rating. This boiler will include an outdoor temperature sensor which will allow it to modulate or vary the water temperature as well as the burner power for the given heating requirement. The Vitodens 100-35 can be used for heating only, connected to an indirect hot water tank or include an internal hot water function, known as a “combi” system. When the boiler is required to produce domestic hot water, it will pause the heating function to keep the faucet or shower provided with plenty of hot water. 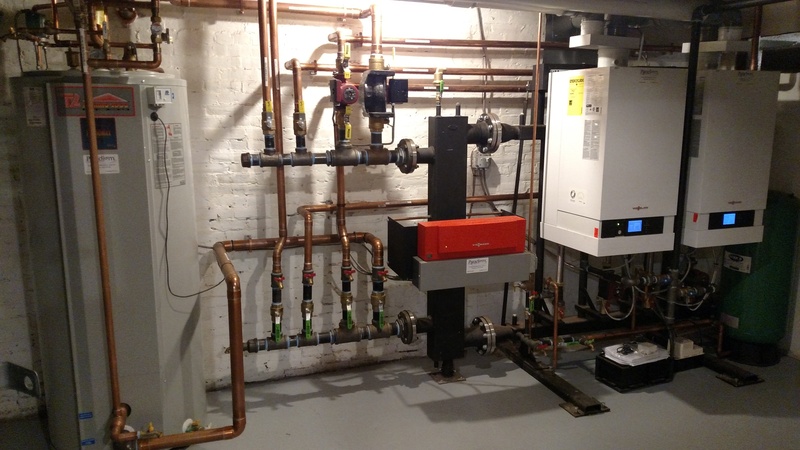 We also offer 2 other models, the Vitodens 200 and the CU3a to fit any heating need for your home or business.